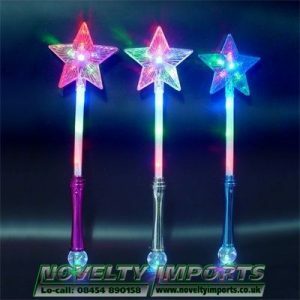 Inflatables at Novelty Imports featuring inflatable balloons, balls, hammers, animals, wands and much more. All the rage and the theme continues with the NEW inflatable unicorn smelly scent ball. These pink fruit smelling balls are 10″ (inch approx) when inflated and come with mixed coloured spiral clip on key chains. This item is expected to sell out fast because of it’s huge range of applications, from prize everytime wins school and charity raffles fete prizes and of course seaside and gift shops. 12/pc bag packing and 96/pc to a full carton. These are GIGANTIC! 45cm in size in the popular colour of pink & blue with the traditional smile face. Ideal for so many applications, prizes,festivals,seaside and gift shops. Great value for money, each ball comes deflated with seal plug in a net bag mixed colours. Great NEW line. A good size approx 10″ (inch) when inflated on a safe spiral keychain (keychain comes seperate) This new T Rex Dinosaur design is sure to delight in 3 great eye catching colours. A fantastic prize every time win for school/charity fundraising events and will be a great market/seaside/gift shop seller. LTD stock 12/24/pc bags and 96/pc to a full carton. Now even bigger and fruitier! Blow up to a super 14″ in size. These popular smelly balls come in the best selling 3 colours and scents. Pink = Raspberry, Blue = Grape and Red = Strawberry. 1/pc with mixed multi coloured spiral display clip on keychain in heat sealed bag for freshness and super strong smell. 24/pc to an inner and 96/pc to a full carton. These balls have a glitter fleck effect and a hoop built in them to attatch the keychain easily and eliminates using a sucker keychain. One of the biggest and best selling inflatable balls ever, great for fundraising events prize every time stalls and holiday seaside shops and markets. Novelty Imports CE approved EN71-3 Toy Safety Phthalate free material. Our very own Novelty Imports design. A good sized 12″ hooped cloudy swirl Fruit Smelly Ball. We have taken the very popular cloudy swirl ball effect and added a super strong smell and great cartoon face. These cloudy swirl smelly scent balls are packed in the three fastest selling colours Pink = Raspberry, Blue = Grape and Red = Strawberry. 1/pc with mixed multi coloured spiral display clip on keychain in heat sealed bag for freshness and strong smell. 24/pc inner carton and 96/pc to a full carton. Novelty Imports CE approved EN71-3 Toy Safety Phthalate free material. A great 10″ (inch approx) inflatable toy football. Super spider spooky design will delight children of all ages in 6 super vibrant colours/designs. Each football comes deflated in a net bag packing. 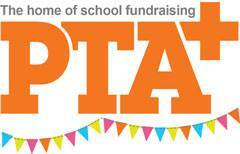 Great for school and charity fun days fetes and prizes at great value from only 50p each. 50/pc inner varton and 100/pc mixed full box. A great 10″ (inch approx) inflatable toy football. Super flame boom design will delight children of all ages in 6 super vibrant colours/designs. Each football comes deflated in a net bag packing. Great for school and charity fun days fetes and prizes at great value from only 50p each. 50/pc inner 100/pc full carton mixed box. Be the first to see faces light up with these amazing bright neon dayglow PVC swirl effect footballs. New to the UK and we think these are going to be a huge seller. Boasting a good size of 10″ (inches approx.) and good heavyweight material of 120g they are made from safe non phthalate PVC material. 2 super bright designs come mixed in 24/pc bags and a full carton of 144/pc. Each football is in its own individual net bag packing. Standard football pump with adaptor needle or compressor to inflate. Great new design approx 9″ Inches when inflated, very colourful and unusual will make these balls a good seller from gift shops and holiday parks to prize every time wins, will sure delight. Requires inflation by normal football needle type pump. 1/pc packing 192/pc to a full carton. SUPERB! Our very own made from safe Phthalate free material. Do not get these confused with smaller balls these are a whopping 50cm (approx 20 inches) when inflated and heavy weight 350g material. Super bright neon rainbow colours with a hoop attachment and fruit type scent, comes complete with a net to make for easy inflation. Going to be a huge seller in the seaside caravan park gift shops as well as festivals and carnivals. 24/pc net bag packing inner carton and 48/pc to a full carton. Super looking design giving a cloudy marble multicoloured swirl effect, inflates to a BIG 15″ (approx 38cm) in size. These items come in nets ready to inflate by a bike pump or compressor. Popular good looking football that will delight as a prize or sell well in seaside/gift shops. 24/pc bag and 96/pc to a full carton. HUGE!!! approx. 60-65cm in diameter the biggest cloth mega ball we have ever seen, Check out the picture of this ball next to our standard football in a net! These are going to be a BIG line in both sense of the word! Come deflated in net bag packing in mixed colours of green & red, blue & red, pink & red and white and red squares. Get them fast a MASSIVE fun day big prize for fundraising and carnival/festival line. 12/pc bag and 48/pc mixed ball to a full carton. A great inflatable ball suitable for the beach/soft indoor play and prize every time fundraising win. This brightly coloured red/white/blue union jack designs boasts a big 21″ 54cm (approx) in size. A popular inflatable just arrived in time for the summer market. 1/pc bag packing 24 & 48/pc inner bags and 144/pc to a full carton. A popular favourite that has so many uses! From pools,beaches,concerts,festivals and popular prize every time wins on fundraising stalls. A BIG 24″ in size so great value with 24/pc bag and 144/pc full carton. Boasting a BIG size of 85cm these black 1000 ton mallet hammers represent great value for gifts and prize every time school and charity fundraising events 12/pc tied bundles and 144/pc to a full carton. A classic inflatable made famous by many fun fairs and carnivals. The traditional blow up inflatable brown and black hammer is a BIG 34″ (inches approx) and a very popular prize eveytime win. Popular at so many events 24/pc bags and192/pc hammers to a full carton. A great looking inflatable will be a hit with little girls and older pricesses. This blow up inflatable pink and blue hammer is a BIG 32″ (inches approx) and a very popular prize eveytime win. Great for so many events 48/pc and 96/pc hammers to a bag. A very popular line that always sells out FAST…. THe BIG 32″ (inch) Super Power Striker Splat Hammer. A fantastic bright coloured prize everytime charity and school PTA fundraising inflatable novelty. Also great for funfairs holiday shops festival etc. Safety tested to a high standard for total peace of mind. 1/pc display pack 48/pc bag and 144/pc to a full carton. BRAND NEW to Novelty Imports and looks like being a very popular winning prize for prize everytime stalls and charity school fundraising PTA events. The football sovccer hammer is a BIG 36″ (approx inches) in size and comes in popular colours of black/white red/white/ blue/white and is tested to a high safety standard. This item will delight many children and football fans alike. 1/pc bag packing 24/pc bag and 144/pc mixed colours to a full carton. WOW such hot property. The must have product of the moment these 3 coloured mixed design genuine licensed inflatable movie Minion prize hammers. Will be great for school PTA and charity fundraising events alongside prize everytime wins. We expect demand to be very high and sell out fast so don’t delay! each hammer in display bag and 24/pc and 48/pc bags. Amazing low price but very limited clearance stock. Original licensed Scooby Doo 32″ baseball bat and 28″ hammer. A very popular mixed item that is sure to delight, great for prize everytime and school pta charity fundraising. 1/pc sealed bag 24 & 48/pc inner bag and 192 mixed to a full carton. Very bright and colourfull and a popular design of smile emoji emotion face. Prize everytime or fundraising gift bright yellow and black smiley face mallet basher prize approx 50cm in size. 24/pc & 48/pc bag and 192/pc to a full carton. Re-live your youth through these comic cartoon superhero styled inflatable bats. 45cm in size and come in single sealed display packs of mixed red & blue. Great new line that will be popular for school and charity prize every time wins and pocket money toy ranges. 1/pc pack 12/pc bag and 120/pc to a full carton. Very popular boasting a big 28″ (approx inches) in size and colourfull pink black and yellow smiley design. Great for prize everytime, fundraising school PTA charity fundraising alongside markets and holiday shops etc. 50 & 100/pc display bag packing and 200/pc to a full carton. BRAND NEW design to Novelty Imports and will sell out FAST! A great line as a winning prize for prize everytime stalls and charity school fundraising events. The Smile Face Monkey Wand is approx 65cm (approx) in size and phthalate free tested material used this item will delight many children and adults alike. Mixed 3 colours as in the picture 1/pc bag packing and 200/pc to this full carton. A special mix of huge inflatable animals, great for dressing stalls, shops, side stalls etc and a popular prize everytime win and fundraising school/charity prize. Boasting a huge (approx 4ft) in height, this carton will contain a mixture of our 4 most popular animals Monkey, Tiger, Zebra & Rabbit. 1/pc display bag packing 20/pc tied bundles and 200 in a full carton. Following on from our popular animal stick range, these NEW dinosaur animal sticks are going to be very popular at approx 4ft tall and in 3 great designs making them ideal as a prize everytime win or great fundraising gift. 1/pc bag packing 48/pc bag and 192/pc mixed 3 designs to a full carton. Yes a HUGE 35″ (inches approx) in size. The new inflatable Skull sword. Swords are always a popular inflatable line and now with the added skull twist will be even more desirable. Great for prize every time wins or gift shops and school/charity fundraising events. 1/pc bag packing 12/pc bag and 144/pc to a full carton. Popular with little and grown up pirates! These 68cm (approx) inflatable cutlass sword will give hours of soft and safe joy. Great choice for prize every time wins and fundraising prizes. 1/pc display pack 12/pc bag and 144/pc in a carton. 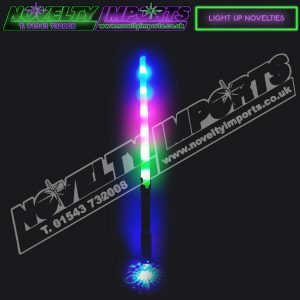 A BIG 85cm almost 34 inches approx in length, with Star Wars still very popular these red and blue space saber swords will delight the avid space fan. Ideal for a soft light weight and friendly galaxy fight. 1/pc bag display packing and 144/pc to a carton. Always popular but not sure why? This BIG 30″ (inch approx) bright yellow inflatable banana is a great prize everytime or school/charity fundraiser present/win 24 & 48/pc bag packing and 144/pc to a full carton. Always sell out FAST a classic good quality inflatable rock n roll guitar. A big 40″ in length (approx inches) and in mixed colours of pink, blue, yellow and green. Fantastic for prize everytime gifts, fundraising charity events or music themed events and festivals. 24 & 48/pc display bag packing and 96 guitars to a carton. Colours may vary. 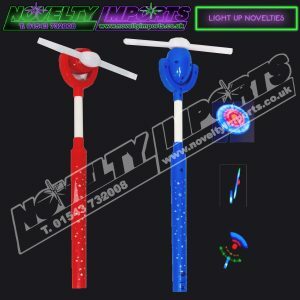 Such a popular item that has a huge sales market, from prize every time wins to charity fundraising events, music festival and themed party nights. 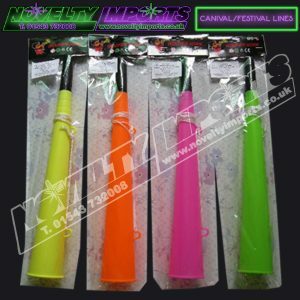 This good quality bright inflatable microphones is 40cm (approx) in size in a mix of vivid colours of pink, green, blue and red. 24 & 48/pc display bag packing. Such a popular item that has a big sales market, from prize every time wins to charity fundraising events, music festival and themed party nights. This good quality HUGE bright inflatable microphones are 86cm (34′ inch approx) in size in a mix of vivid colours of pink, green, blue and red. 24 & 48/pc display bag packing and 192 to a full carton. A classic good quality big inflatable saxophone. 80cm in length (approx) and in bright mixed colours. Fantastic for prize everytime gifts, fundraising charity events or music themed events and festivals. 24 & 48/pc display bag packing and 192 saxophones to a full carton. As part of our inflatable music range here is the inflatable Piano Keyboard. Going to be a great item for themed event nights and a popular prize win at school and charity fundraising events. A big 55cm in length (approx) finished in black, green and white keys and comes with plastic strap. 50 & 100/pc bag packing and 200/pc to a full carton. Safety Tested and Phthalate free material used. Many customers call us and ask if we sell spares of this item, ideal for lost/missing keychains for smelly ball displays, and also works great when displaying other inflatable novelties and prizes on stalls. 4 mixed colours complete with sucker attachment. 96/48/24pc carded packing. Great for prize every time, gifts, charity/school fundraising or gift shops. These bright coloured footballs are sponge rubber high bounce just over 6cm in size and come ready inflated in a counter display box. Hours of fun for very little cost. 24/pc display box and 216/pc to a full carton. A great soft 6cm bounce ball that comes in 18 emoji style emotion smile face designs. A great soft ball suited to prize every time wins or gift/toy shops alike. Will be a popular item at a good low price. 24/pc counter display box and 216/pc to a full carton. BRAND NEW to the UK JUST ARRIVED! Going to be a popular inflatable comes in 6 great colours and designs this new 9″ inflatable Furry Face Mega Ball comes in a net bag ready to inflate using a standard football needle adaptor. 1/pc net packing 20/pc bag..Do not over inflate or fur can rip. Designs and colours may vary.